The results of 38th BCS Preliminary Examination has been published on 28 February, 2018. Today, the Chairman of PSC announced this news. He also said, "No quota is applied for selecting preliminary examination". Total Preliminary Passed Students: 16,286. 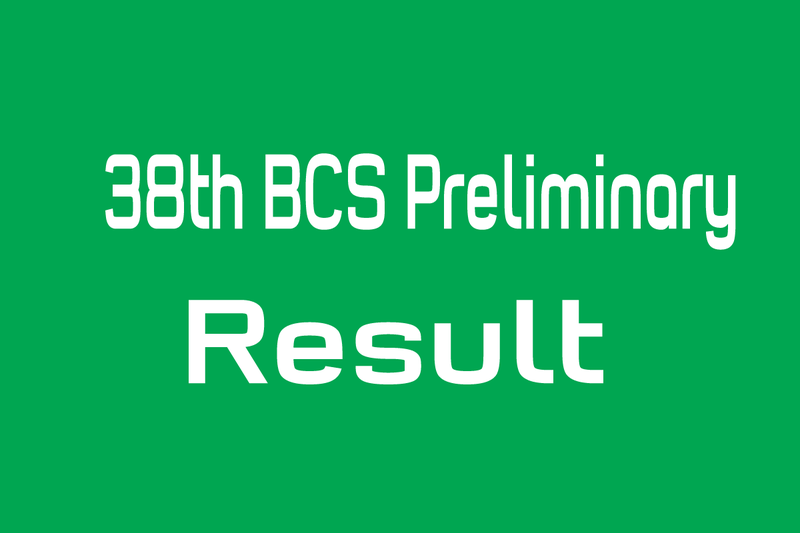 The 38th BCS Preliminary Examination was held on December 29 in last year, 2017. The results of this exam are being published within two months. In the BCS application, a record was created in the 38th BCS Examination. In this Exam, 3 lakh 89 thousands 468 candidates applied. Earlier, 2 lakh 43 thousands 476 candidates took part in the 37th BCS examination. Earlier, this was the highest number of candidates in the BCS. PSC sources said that, according to the 38th BCS, 2024 cadre officers will be appointed in the public administration. In the Administration cadre 300, 100 cadres of police cadre, 38 cadres in general cadres, 520 in general, 549 in technical and professional cadres and 955 in education cadres.